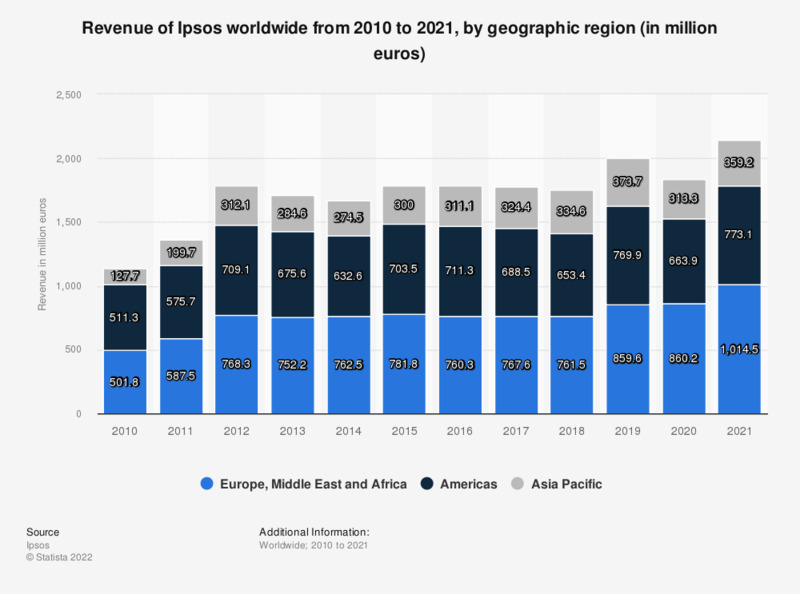 This statistic shows the revenue of Ipsos worldwide from 2010 to 2018, by geographic region. Ipsos generated approximately 653.4 million euros in revenue in the Americas in 2018. Ipsos is a global market research company headquartered in Paris, France. Figures for 2010 to 2016 come from earlier financial releases.